Scheduling and customer management inefficiencies bogging your company down? Get organized today with the finest electrician software on the market! Smart Service will energize your business by eradicating wasteful practices and helping you schedule and dispatch work orders digitally. Simply put, this electrician dispatch software is the ultimate electrician tool. Smart Service is the premier QuickBooks add-on for electrician companies. QuickBooks already takes care of your accounting, but with Smart Service electrician software added on, it can handle your scheduling, dispatching, and customer management with similar flair. Don’t rely on paper and pen, and don’t fill out the same information twice. Embrace the future with an effective electrician software solution today! Learn more. Every electrician outfit is different, and Smart Service is built to help them all. Our customizability allows users to track whatever information they want. When technicians show up at a customer location, they can start tracking the time they spend on the job, as well as all the parts they use and services they perform. This information travels back to the office digitally, keeping everyone on the same page. Learn more. Would your technicians benefit from accessing detailed schedules, forms, and work orders on their mobile devices in the field? Of course they would! Our mobile app iFleet gives them that, and much more. Techs can update work orders, complete paperwork, and collect payments, all without returning to the office! 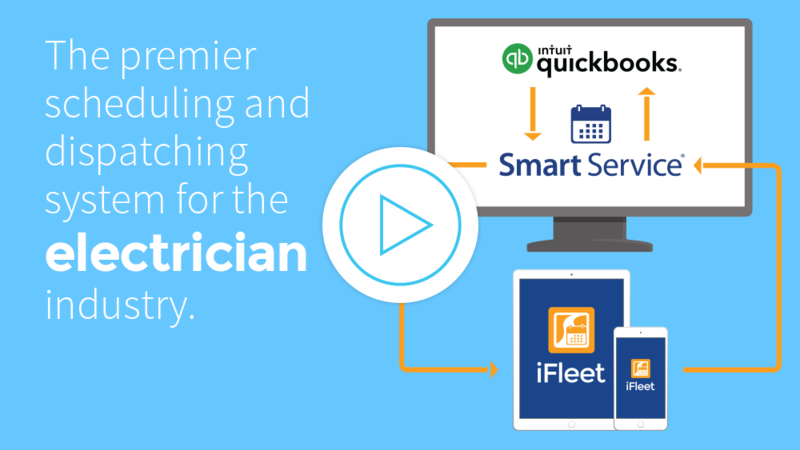 iFleet + Smart Service = the best electrician software solution! Learn more. Many electrician operations have taken off since adopting Smart Service, none more so than Los Angeles’ The Electric Connection. After getting burned by an alternate software provider, The Electric Connection switched to Smart Service for their scheduling and dispatching needs. 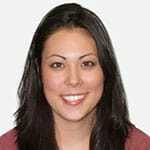 Find out what Operations Manager Danielle Soule has to say about moving from a competitor to Smart Service! Smart Service electrician software energizes your electrician business instantly, turbo-charging QuickBooks to make scheduling, dispatch, and billing easier. Mobile electrician software improves your business immediately. Expand the reach of your electrician business!